There's nothing like a man wrestling with an alligator in the heart of Louisiana's largest swamp to catch your eye as you drive by. 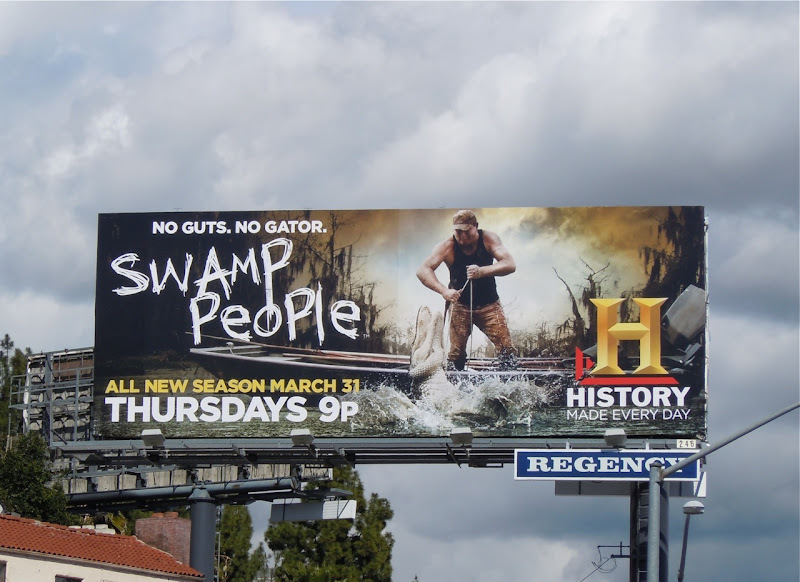 This History Channel billboard for the second season of their Swamp People series certainly stands out along Sunset Boulevard at Holloway Drive on a stormy March 21, 2011. No guts. No gator, indeed. 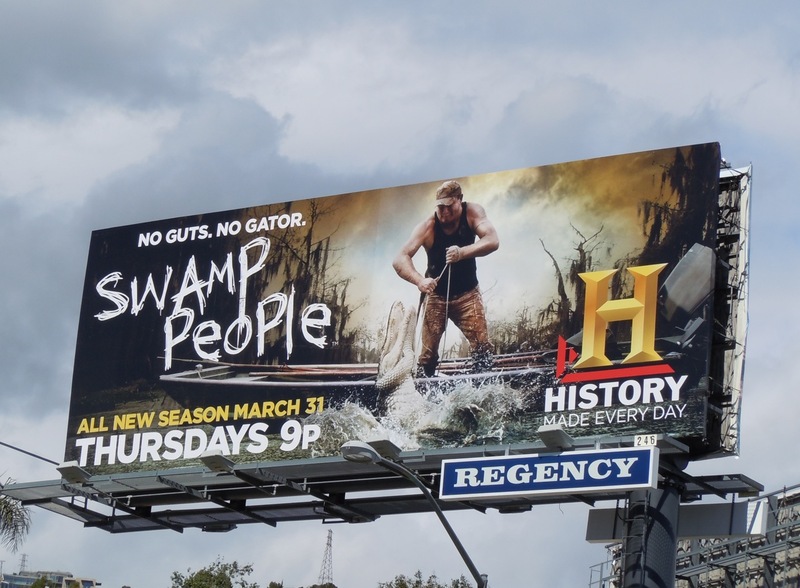 If you like this, be sure to check out these other History Channel TV billboards. And that brings another TV WEEK to a close here at Daily Billboard, check back tomorrow for the start of MOVIE WEEK which will feature an eclectic mix of comic book, medieval fantasy, comedy, animation and action films.